You are here: Home > First things first. In Oklahoma, Avocadoes were a delicacy. I don’t think I am exaggeratting when I say that one Avocado was $1.50. In Thailand, Guacamole was unheard of, except for the rare occasions that we’d find an avocado in a market near the border of Burma. Here in Tel Aviv, Avocadoes are as common as the alley cats with one eye. I hope one can understand my angst when I realize the Avocado section in the grocery store is dwindling. “Is there an avocado season?? !” I frantically inquire. No one can answer me. Along with the questions of the cosmos, will I ever afford a car, can one find peace through the Tao Te Ching?… the answer to whether or not we are slipping out of Avocado season is one I am fearful of finding the answer to. My past weekend was quite satisfying. Two weeks ago I had the epiphany how much has changed in only the last few months of living on my own, away from Tsiki’s family. Coming to terms with my own independence in Israel was terrifying. To my surprise and my relief- I have found a warm circle of friends who are a mad and lovely package and they don’t wear tu tu’s. Last Friday, I spoke once again to a group of American Jews who are here to learn more about and support various organizations in Israel. I choose to speak for the Girlfriends of Fallen Soldiers, because I am the only American girlfriend in the group- I feel I can give something to my fellow Americans and present Israel in a way that they can best understand. Speaking for the Amuta is the most emotionally tough thing I choose to do every couple months. It is also one of the most fulfilling. As I sat down with fellow girlfriends in the same predicament I am suddenly questioned by one of the girls. “Can I be honest? ?” one of the girls says”…Seems to me like your not able to let go of your past, and you’re staying in Israel as a result” she says. “how can you even afford to move here? Support yourself?, are u even dating…? ?” The barrage of questions were too quick to get defensive about. “You need to travel” she continues, “leave this place, maybe you won’t now.. but I bet it’s a phase and you’ll eventually leave..”. It was a challenge enough to sit at a table for two hours with girls from the same predicament. It was even more offensive to realize that this particular woman offered no “support”. The only answer I could offer her was that I have traveled the last 5 years of my life, I am very proud to reach the point in my life where I can have structure, accept religion, and dance on tables when i’m sauced up from the tequila shots that “I” paid for with my “real” job. I think it was to her dismay when I responded that yes, I have dated, and I can’t predict my future, so i’ll just accept her “honest” opinion and hope she lives by her own as well. I quickly left with one of the other girlfriends and we Politic’d at another bar down the road. I showered when I returned to the hotel to rinse myself of her attitude. Whereas one point I thought these girls would be the only people that would understand me. I find myself relieved to run into the arms of my “other” friends. I am eternally grateful for those who have chosen to come to know me without judgement and accept my weaknesses. I know it’s made me a better person. Believe it or not, I am quite shocked by this epiphany. They may never understand what it’s like to have your bowl emptied when it was so full. But I get the feeling they are doing the best the can. I’m not so good at assuming I know what will happen this time next year, and most of the time- I am not too worried about it. I have become better at having my today’s and my tomorrows. And if I can have my todays everyday and my tomorrow’s every other day, I don’t foresee that bowl tipping anytime soon. Those todays and tomorrow’s will be around for quite some time. And i’m not mad at them. Even if there is a possibility Avocadoes are going out of season. Please G-D. But I do foresee a pretty happening party in about two weeks. So do be prepared. 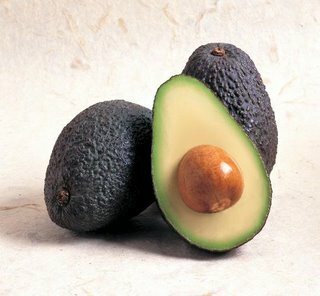 Avocados are a winter fruit my poor deprived friend! according to tal bagels avocados have been out of season for the past 4 months or so..funny meanwhile how super moshava (the supermarket across the road) has had the best avocados for the past 4 months. Israel is weird. On a positive note apricot season is in full swing!!!!! making reference to the tao to pick on me? eh? she jests at scars and never felt a wound. in reference to the comment made by a guest at your conference: humility is the highest virtue. The fruit and veg seasons are all a bit strange here in the Middle East … you can only get strawberries in the winter … now how messed up is that! It’s not messed up at all. Strawberries are a winter fruit, as are avocados! Just like peaches, nectarines and watermelons are summer fruits.